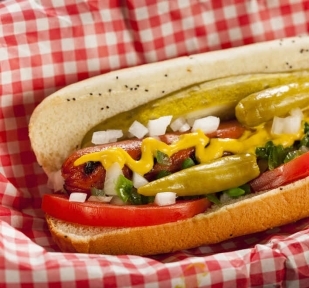 The Chicago-style hot dog is a quintessential part of Chicago’s storied history. Join us for the city's largest picnic and take a bite out of Chicago history with our full line-up of bands, history, family activities and Vienna Beef hot dogs prepared in various regional and ethnic styles by the city’s top hot dog vendors. $20 suggested family donation at the entrance. Step right up, we’ve got the city’s best franks! The city’s top connoisseurs of Chicago-style dogs will be grilling up the classic, and mixing it up with some new mouth-watering concoctions. 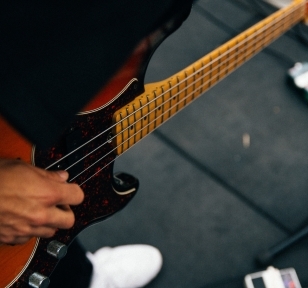 Start tappin’ your feet with this year’s lineup of award-winning musicians, and your favorite cover bands. Learn the history of the hot dog, walk the World's Fair, and let the kid's run wild. We're bringing the museum out to the fest with games, inflatables, activities and more! Where can I find all this deliciousness? The festival is held at Stockton and LaSalle Drive. Limited public parking is located one block north of the Museum at Stockton and LaSalle Street. Purchase your food and drink tickets early and save! Packages are available for an individual, group or family. Buy them now to skip the line or purchase at the event. "As Chicagoans, we’re proud of our culinary prowess...What better way to celebrate a Chicago institution then at Chicago Hot Dog Fest?" "A celebration of encased meat"
"Whether you’re a ketchup champion or a sucker for celery salt, the Chicago Hot Dog Fest has a bun strategy for you."